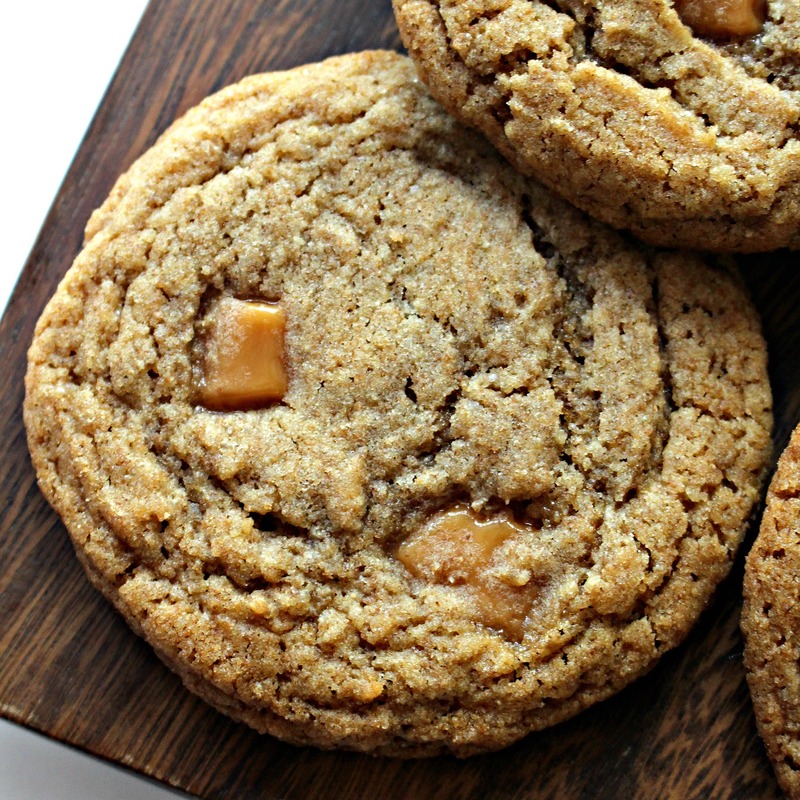 If a cookie can taste like a season, then Whole Wheat Caramel Cookies taste like fall. Whole wheat adds a rustic, nutty flavor that pairs beautifully with the creamy caramel. Enjoy these chewy cookies with a warming mug of coffee or tea or as an after school snack with a glass of milk. Recently, I attended a culinary class at the Operation Food Search School of Cooking and Sharing. Operation Food Search is a St. Louis-based non-profit organization dedicated to ending hunger in the greater St. Louis metropolitan area. The free food they distribute feeds 200,000 people in need each month. If that number isn’t already staggering, consider that nearly one-third of those served are children. In addition to providing access to nutritious food, Operation Food Search is a leader in nutrition education for food insecure adults and children. The School of Cooking and Sharing offers “cooking classes with a philanthropic twist”. I think the concept is brilliant. Cooking school participants have fun gaining culinary skills, while the class tuition funds nutrition education programs for kids in the St. Louis city schools. The class I attended most recently was “Bake for Good with King Arthur Flour with Paula Gray”. Paula is the manager for the King Arthur Flour Bake for Good Kids Program which encourages kids to give back to their community by baking and sharing. In the adult class I attended, we learned a basic bread recipe and a multitude of ways to use the dough, from artistically twisted rolls to pizza crusts. We also gained bread baking tips and some facts about flour. Did you know that all-purpose flour can be stored in an airtight container on the counter, but whole wheat flour should be stored in the refrigerator? Whole wheat flour includes the wheat bran. The bran contains natural oils which will go rancid if kept at room temperature. What about white wheat flour? White wheat flour is also whole grain flour including the bran. It should also be stored in the refrigerator. The difference between regular whole wheat flour and white whole wheat flour is the type of wheat used. White wheat flour is made from white wheat, (maybe I should have guessed that by the name?) which is lighter in color and flavor. I had a great time learning and eating my way through all of the demonstration samples! Though the class was focused on flour for different types of bread, my thoughts predictably drifted to cookies; hearty, chewy cookies full of toasty whole grain flavor combined with the sweet, creamy flavor of caramel. 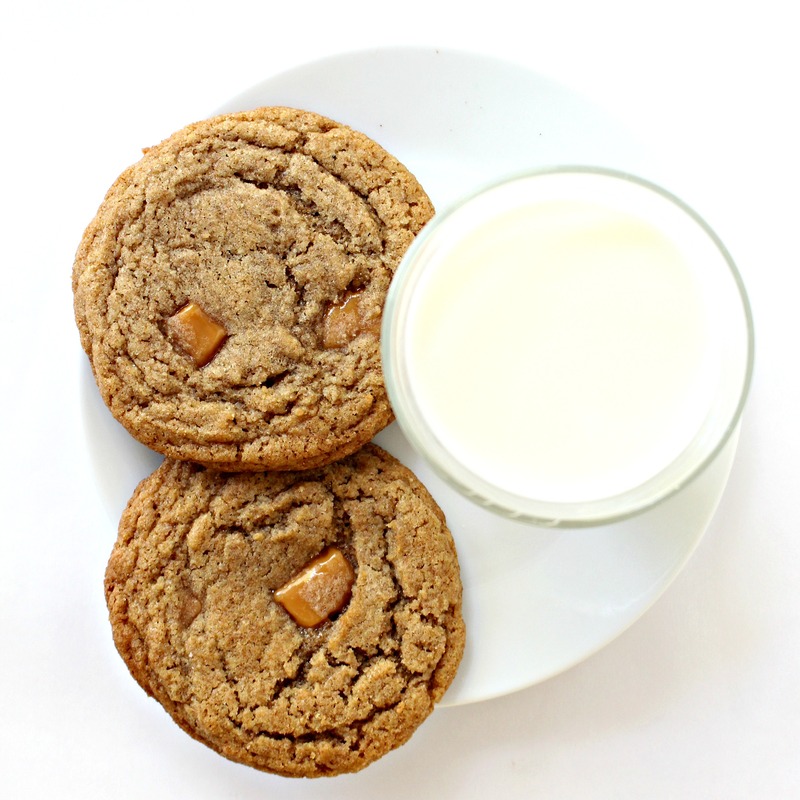 Visions of Whole Wheat Caramel Cookies danced through my head. As soon as I got home, I began working on creating a cookie with all of the qualities I was imagining. When I made Pomegranate Caramels a few days earlier, I trimmed the block of caramel to straighten the edges before cutting into individual pieces. Those trimmings were just waiting for a cookie to sweeten. Chopped into chip-sized bits, those trimmings found their home in Whole Wheat Caramel Cookies. I realize that not everyone has the time or interest in mixing up a batch of homemade caramel. (Though, you really should try it. 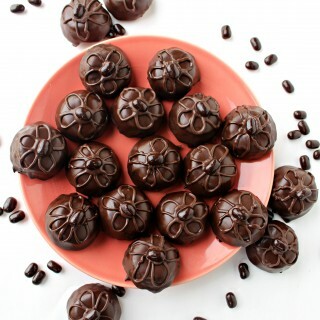 Homemade caramel is amazing!) 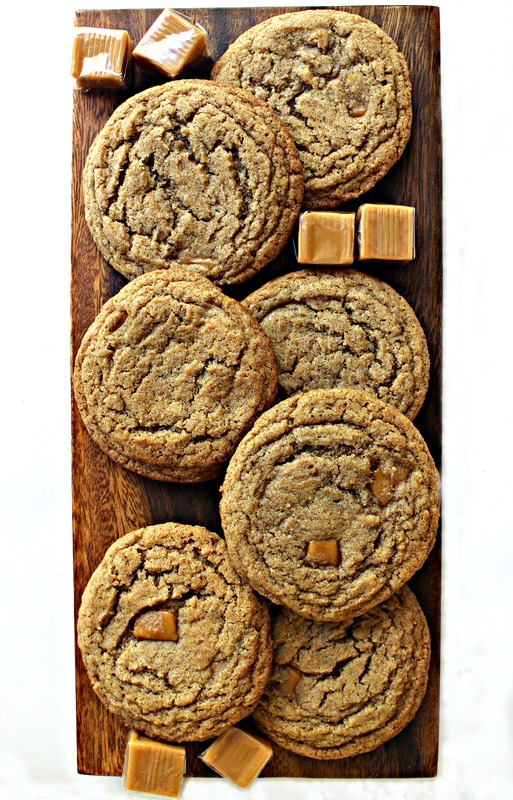 I made several batches of these cookies with Kraft caramels (the little individual ones wrapped in clear plastic) and the Whole Wheat Caramel Cookies were delicious. Pomegranate Caramel has a slight fruity taste which adds a special, extra dimension to the cookies, but plain caramel is just as creamy and warm. You can substitute white whole wheat flour for a milder, less nutty flavor. The recipe calls for Lyle’s Golden Syrup which tastes like liquid brown sugar. I think it is the best flavor match with the whole wheat and caramel. Golden syrup is available in some regular grocery stores in either the baking or syrup aisle. It can also be found at World Market and on Amazon. 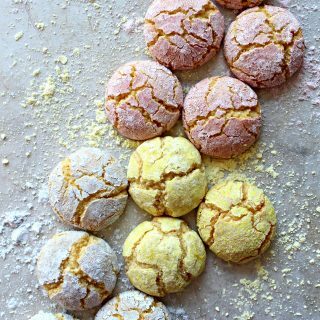 You can substitute honey or corn syrup, which maintains the chewy texture, but the flavor of the cookie will change. 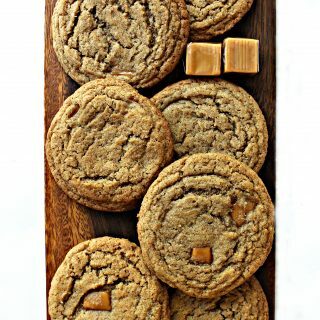 Whole Wheat Caramel Cookies keep their irresistible chewiness for up to 1 week when stored at room temperature in an airtight container. 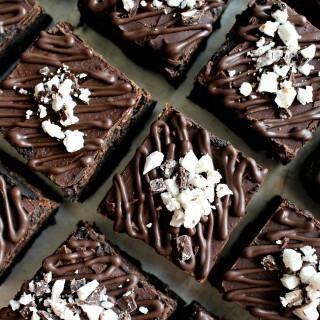 Bake and share. Our world needs some extra love and sweetness. In a large bowl, whisk together flour, corn starch, baking powder, baking soda, and salt. Set aside. In the bowl of an electric mixer, cream together the butter, brown sugar, and granulated sugar. One at a time, add golden syrup, eggs, and vanilla. Mix until combined. At a low mixer speed, add the flour mixture and beat just until incorporated. Fold in the chopped caramel pieces. Chill the dough for 30 minutes to overnight. 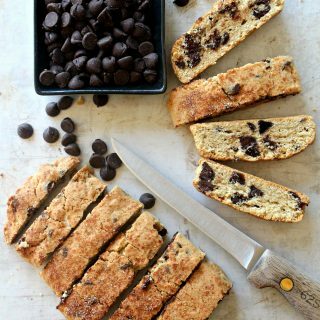 When ready to bake, line a baking sheet with parchment paper and preheat the oven to 350° F.
Use a 2 tablespoon (medium) cookie scoop to place portions of dough on the prepared baking sheet about 2” apart. Bake for 10-12 minutes, until golden brown. Remove from the oven and allow to cool on the baking sheet for 5 minutes before transferring to a wire rack to cool completely before storing. Store cookies in an airtight container at room temperature for up to 1 week. Double wrap pairs of cookies (with bottoms together and a square of wax paper between) in plastic wrap, then place snugly in an airtight container or zip lock bag. These cookies look and sound amazing Wendy! 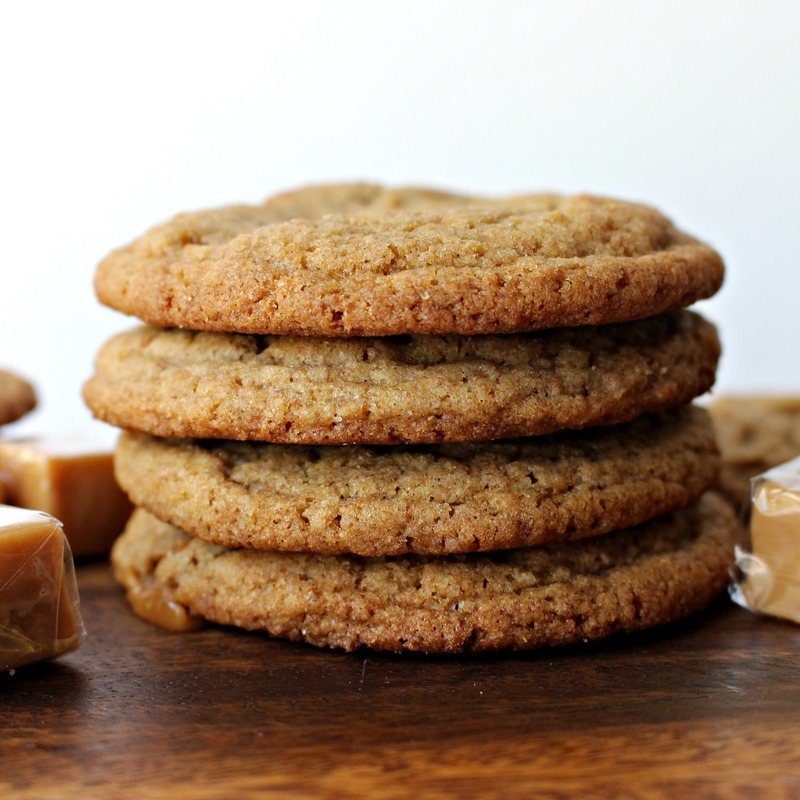 I am a sucker for anything caramel and I love that you use WW flour, it kind of balances the richness and indulgence of the caramel. I think it makes them quite legal! Thanks, Chris! The caramel and the nutty, whole wheat are a great combo. 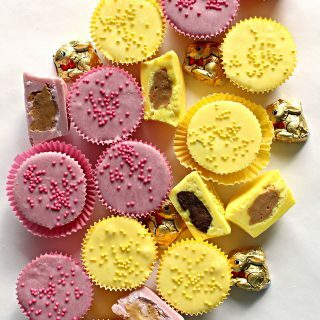 These look absolutely fabulous! I guess I’ve been storing my whole wheat flour wrong. At least I go through it quickly, so it hasn’t been an issue but I’ll relocate it anyway! Thanks, Carlee! I am glad you found the whole wheat flour storage tip to be helpful! That was one of several things that made the King Arthur class a helpful learning experience for me. I was also storing my flour wrong! 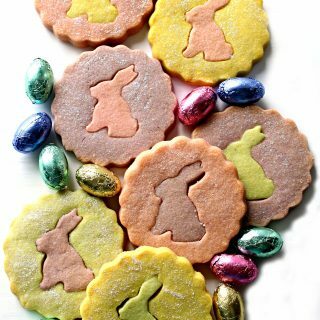 I love that you used whole wheat flour – they sound and look wonderful! Great idea to cut the caramels into pieces. Thanks! Thanks, Tricia! Though i don’t usually think about using whole wheat flour in cookies, the flavors here worked beautifully together! Thanks, Ashley! 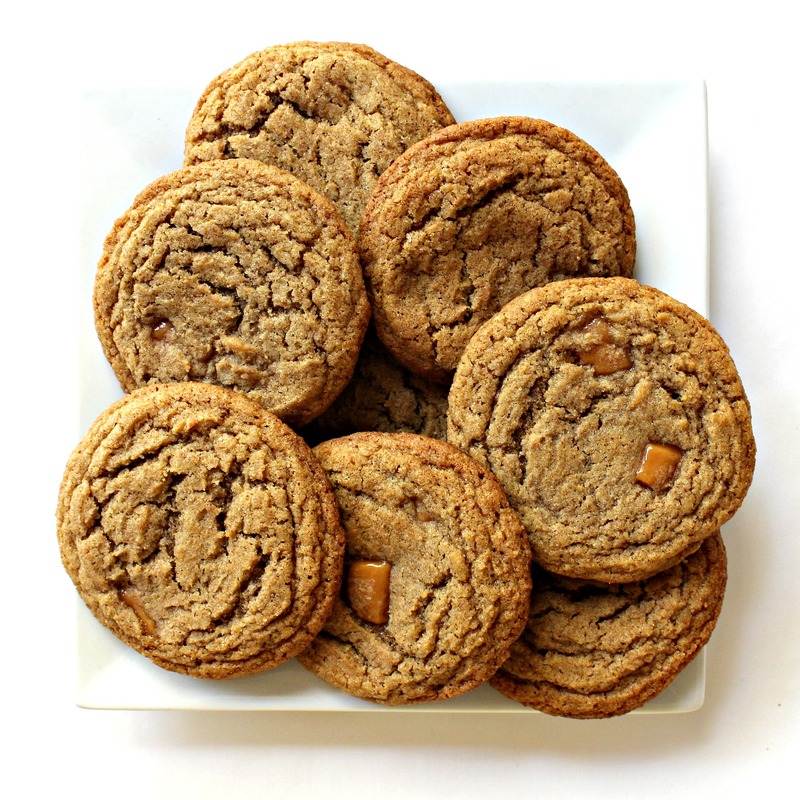 The whole wheat flour does have a nutty taste, which I think is perfect combined with caramel! I may be following your whole grain lead more often ! I just pinned your awesome Caramel Cookies! Hope you are having a fantastic weekend and thanks so much for sharing your post with us at Full Plate Thursday! 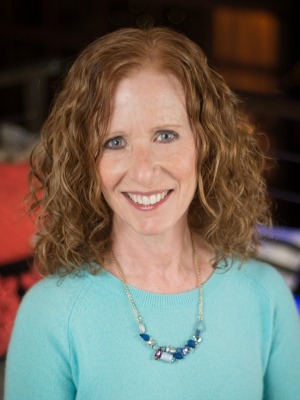 Thanks for pinning and hosting, Miz Helen! Have a good week. I love King Arthur flours. I didn’t know about their cooking classes program. As usual I learned something new from you. I will now be storming my WW flour in the fridge! I love making caramel and am excited to try my hand at the pomegranate caramels in these cookies. Chewy caramel is my jam!! Thanks, Cindy! If I can walk away from a cooking class with just one useful piece of information, I am happy. The King Arthur class gave me several useful ideas, including how i should be storing my whole wheat flour! I am now a homemade caramel addict. It’s SO good! The pomegranate added a fruitiness that I really enjoyed. I’d like to try other fruit juices too.